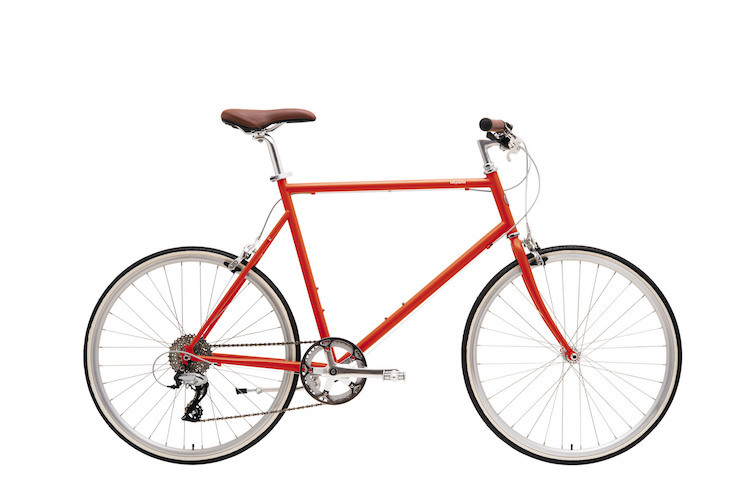 CLASSIC SPORT (CS) features eight speeds and was designed with pure lightness and comfort in mind. The posture is mostly upright, allowing you to enjoy the air and scenery of the city at a relaxed pace, but also serves as a well equipped modern commuter ride. The timeless color palette comes in a distinctive semi-matte finish (see the post in our blog). * If you missed out on the chance to get the CS in gloss finish with 650c wheels, we still have some available (see the details here). Details: Semi-up handlebars with brown grips, brown saddle and a silver kickstand.